I love to slip away, find a quiet spot and bury my nose (and my brain!) into a good book. And, some of the books, being of the health-minded that I am, are, naturally . . . health-related. I thought I would share some of my favorite health books (as well as some others on my list I want to read) that you may want to crack open and pour over to learn a lot, too. The writers are the real deal – doctors, chefs, naturopaths, researchers and more, and a few of these wellness books might even be considered healthy living classics. Come take a look and see which health book you may want to read first and keep on your shelf at home to refer to later! This book belongs front and center on your reference shelf to begin your quest for a more holistic answer to any of your health woes, digestive issues or any nutritional questions you may have. It is always a great place to start and is a no-brainer for under $8! I reviewed Clean Eats here fully. I still turn to it for inspiration for my weekly meal planning for whole food cooking that is not too complicated and for meals I look forward to eating! I am fascinated by Traditional Chinee Medicine (TCM) and this popular book offers a focus on the Eastern fundamentals of acupuncture, diet, herbs and nutrition. It offers easy recipes to manage your imbalances as seen by Eastern Medicine, too. My daughter gave me this a while back when I was beginning my interest in TCM. Easily learn here why TCM can help you reduce prescription meds, pain pills, sleep issues and more. It shows a plan to ward off many of the modern ailments of high blood pressure, headaches, arthritis and other diseases to feel your best, too. This is such a fast and fun read and I love how Dan takes you through his journey of visiting the “blue zones” of the world where people seem to live the longest and are the healthiest. Meet some inspiring people and leaders and learn all their secrets here – and it’s not only about what you eat! Don’t miss this: See a whole day of eating like one of the healthiest people actually looks like here. I read this some time ago but it really got me thinking about medical testing, cancer prevention and how that plays in our everyday choices. It is a real wellness plan providing lots of details without being too hard-edge. Don’t miss this: Tap here for loads of superfood information and recipes. See how research is repeatedly showing the link between our gut health and our mental health. In this best seller, this doctor walks us through how healing our digestive system can be a treatment for depression, anxiety, autism and more. I have not read this yet but know how many suffer from mental ailments and not sure many doctors have caught on to the gut-brain connection. Don’t miss this: Tips to keep your brain healthy and your mind balanced here and foods to calm your mind. I have not read this one either but hear friends talk about it. It is an interesting concept to match your workout to what mood you are in – other than that mood to not exercise! The author provides a fitness plan to coincide with your emotional state of happiness, anger, doubt and others. Could it work for you? Don’t miss this: I have organized lots of quick to extensive fitness routines here if you need more ideas. Are you a reader like me? 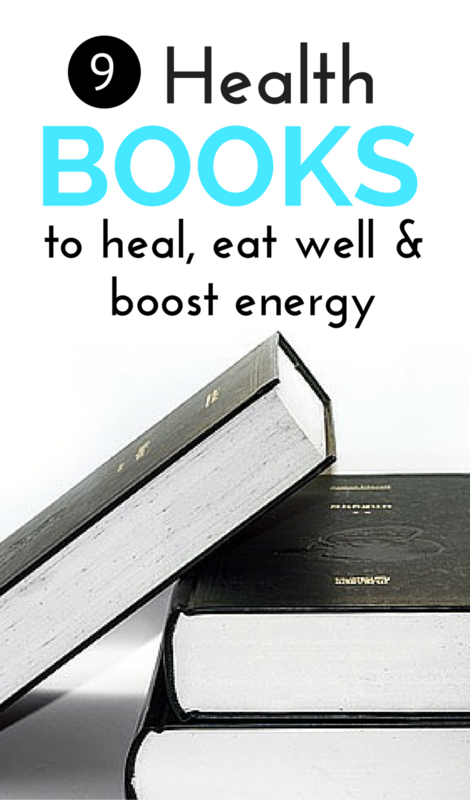 I would love it if you would include your favorite health reads in the comments, or, if you have read any of my suggestions, what are your true thoughts on them? Amazing collection! I don't get time to read books, but these days I'm more into fitness and making the collection of books and apps that can help me to achieve my fitness goals. Thanks for such awesome collection. So welcome, Mellisa! I do wish you the very best on your improved fitness journey! They are! They are! And the authors write in such a way to make it clear and enjoyable to read. Do check them out! These look like great resources! Can't wait to checkout Healing With Whole Foods! Oh yes! It is a great one, Annmarie! Oh I love this list! Im going to check out a few of these. You can never have to many book recommendations! So glad to hear it, Autumn! Grab a few for some great summer reading. So good to here a book review from someone like yourself. There is so many books on the market and this makes it easier to choose. So nice of you to say that, Kathleen! These books are jam packed with great ideas! Hope you get to take some time and choose one or two! Thanks so much for coming by and taking the time to comment. I can't wait to look into some of these! 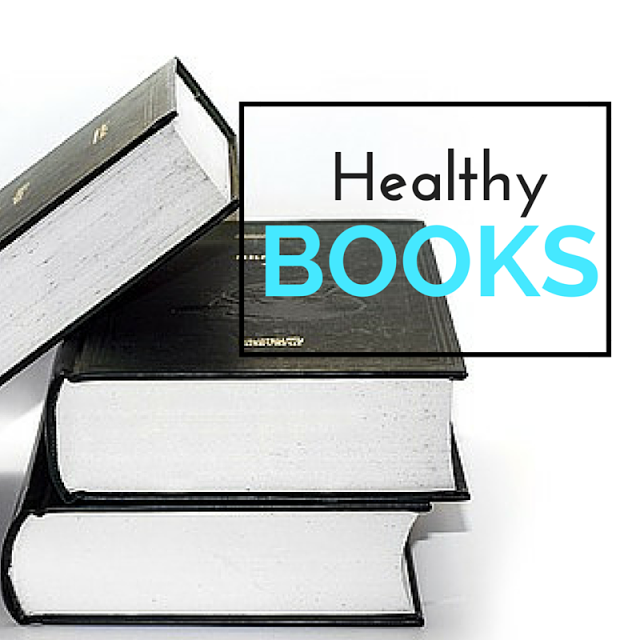 I LOVE reading non-fiction books, especially about health! Super, Liz! We are both health book nerds, then! Fantastic! Love that. Do pop back and let me know what you think or any favorites you have to add here! Glad to hear it! They can be so inspiring! I hope you can flip through some of the ones I mentioned above. Thanks for coming by and adding in here! Most of these books listed above, Launna, provide a lot of information on the enormous benefits of eating a whole foods diet and the recipes are so easy and delicious! I hope you get to try a few!